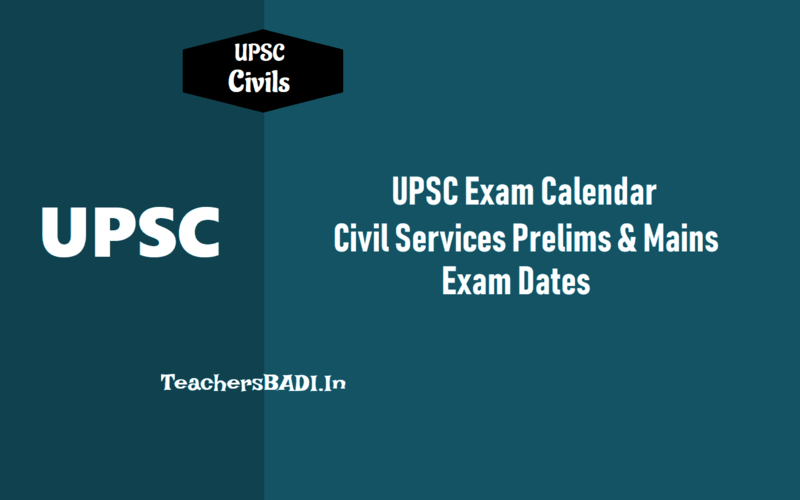 UPSC Civil Services Prelims 2019 on June 2 and Mains on September 20: UPSC Civil Services Prelims 2019 to be held on June 2 and UPSC Civil Services Mains 2019 on September 30. Thr Union Public Service Commission (UPSC) has announced the examination date of the Civil Services Preliminary examination 2019. As per the UPSC examination calendar, the civil services preliminary exam 2019 will be held on June 2 and the main exam will be conducted on September 20. The UPSC conducts the civil services examination for recruitment to the Indian Administrative Service (IAS), Indian Foreign Service (IFS), Indian Police Service (IPS) and other central services and posts in accordance with the rules published by the Department of Personnel and Training in the Gazette of India extraordinary. This year, Civil Services Preliminary Examination 2018 was held on June 3 at various test centres across the nation. As of now, the UPSC conducts the Civil Services Examination (CSE), popularly known as IAS (Indian Administrative Service) exam, in two phases namely- UPSC Prelims and UPSC Mains. The prelims exam comprises objective-type questions, while the questions asked in mains need descriptive and essay-type answering. Also, the selection of candidate is made well before the commencement of the foundation course. UPSC: The Union Public Service Commission (UPSC) is an organisation that works under the central government to recruit staff for various posts in the various ministries and departments, and in subordinate offices. The commission also conducts examinations for the recruitment in various departments of the state.